This Friday morning the London Tube will once again be tackled by a gang of people trying to get round every single station in Zone 1 in the quickest possible time. You might remember that back in the Summer veteran tube racers Geoff Marshall and Neil Blake organised Tube Relief as a way of raising money for the victims of the July 7 bombings. Well, this week the tube will again be tackled in the name of charity, this time by Dave Moran and his friends Simon Langford and Rachel Stone who will be racing for Children in Need. The trio will be kicking things off at Tottenham Court Road and trying to get round all 63 Zone 1 Tube Stations quicker than their personal best of 3 Hours 52 Mins and 42 Sec. They will of course be trying to blog the attempt as they go, so you can check in with Dave's blog on the day to see how things are going. 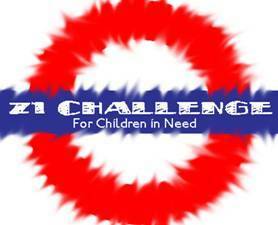 And if you want to donate then the best way to do it is through the Children in Need site.